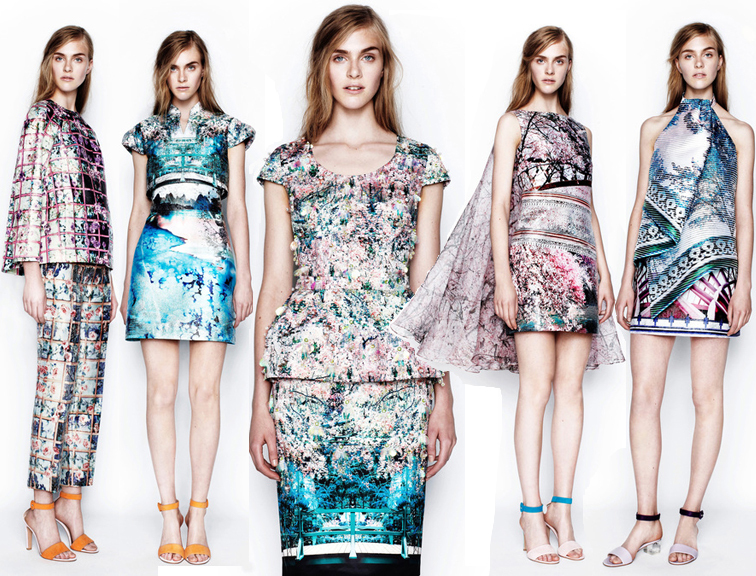 Some more amazing resort 2014 collections coming at you. I gotta say, i'm kind of really into the Altuzarra collection. It feels like he had one person in mind when he was designing it: Carine Roitfeld. Don't you think? I also love the Wang looks. He continues his great evolution while never losing that insane natural instinct he has to create pieces that ignite an indescribable and uncontrollable urge to buy in his legions of fans. And last shoutout: super excited about Acne bring Natasa Vojnovic back to model their collection! Below, in order of appearance: Acne, Alexander McQueen, Alexander Wang, Altuzarra & Mary Katrantzou. See my other resort posts: Part I, Part II and Part III. PS The google friend reader will be extinct this coming Monday. Make sure you switch to Bloglovin to not miss a beat! oh I love the last ones with the flowers and the rivers!! P.s. Thx for the sympathy, still bummed.lol.